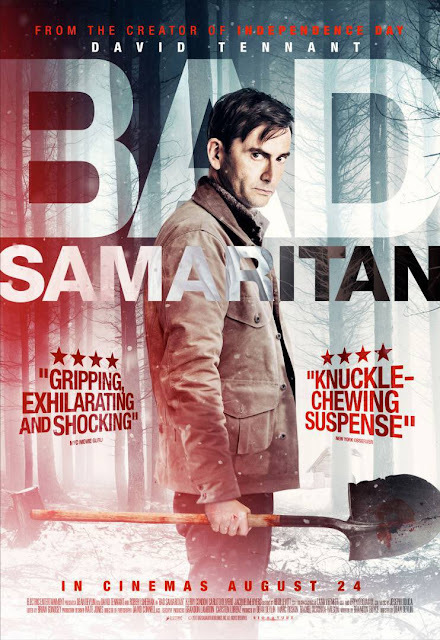 David Tennant's new film, Bad Samaritan will have it's UK premiere at FrightFest 2018 in London this summer. It will take place on Thursday 23rd August at Cineworld Leicester Square. Remaining in the heart of London’s West End for its 19th year, the world renowned horror and fantasy film festival turbo-charges into the Cineworld Leicester Square and The Prince Charles Cinema from Aug 23 – Aug 27 2018. Hosting a record-breaking seventy films, embracing eighteen countries and spanning six continents, this year’s line-up is a true celebration of the genre’s global popularity. The five-day fear-a-thon includes 20 World, 17 European and 22 UK Premieres.